I’ve had the amazing opportunity to reach out and speak to others with some incredible platforms. Here, you’ll find some lovely ladies who were kind enough to allow me to share my story on their blog. You will also find various websites that asked me to share my story on their platforms. I was asked to be a part of The Glitter Diaries-Love Your Body Series. 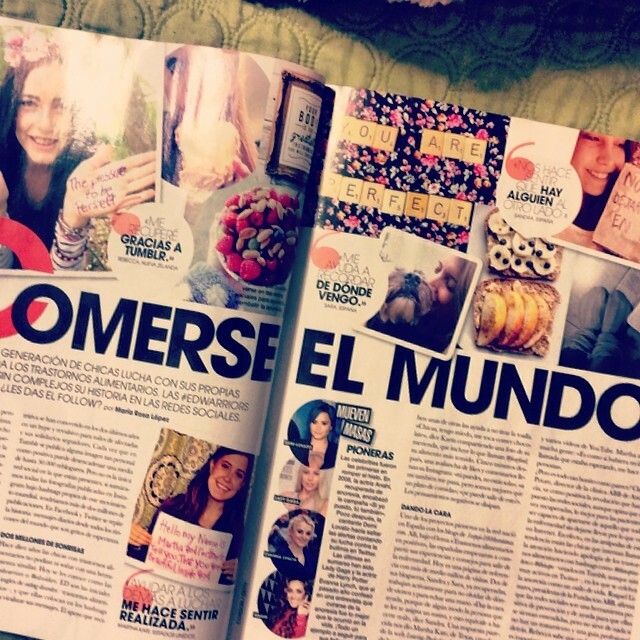 In The Spring of 2014, I was honored to be featured in an article for Marie Claire Spain entitled, Comerse el mundo. The article featured Edwarriors who were helping others through social media and a huge part of the article was dedicated to Leaving Perfection Learning Grace. 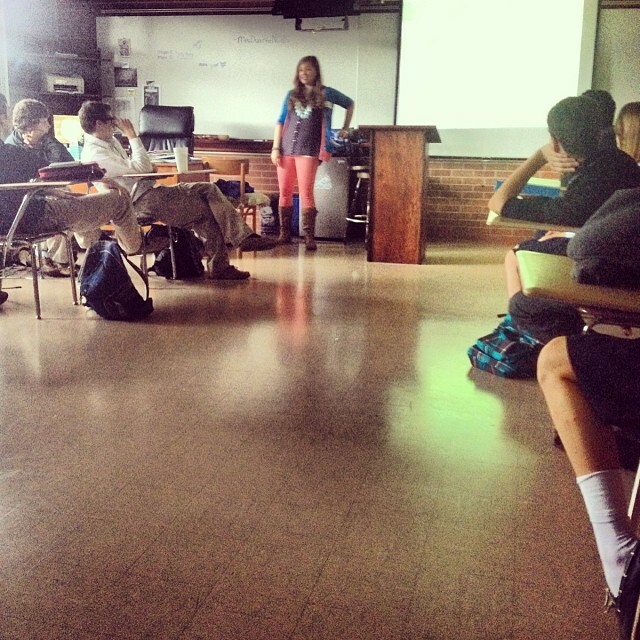 One of my favorite things to do is speak to students. 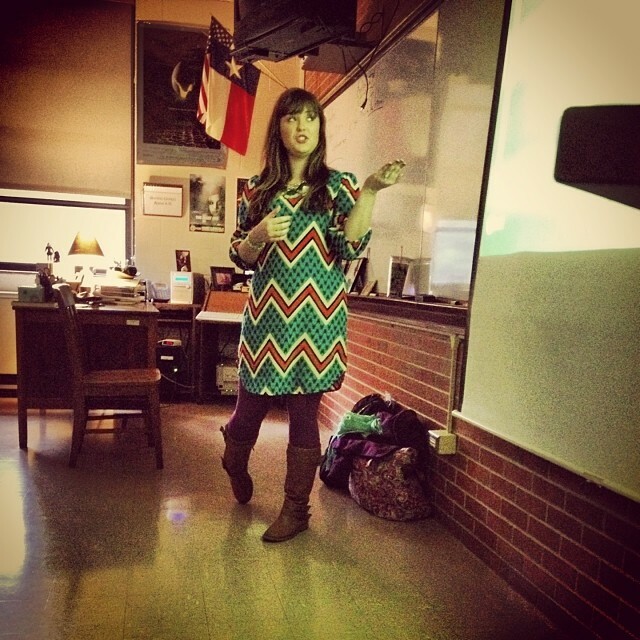 In The Fall 2013 and Spring of 2014 I had the opportunity to speak twice to Nolan High School Students in Fort Worth. Below are pictures from my time there. 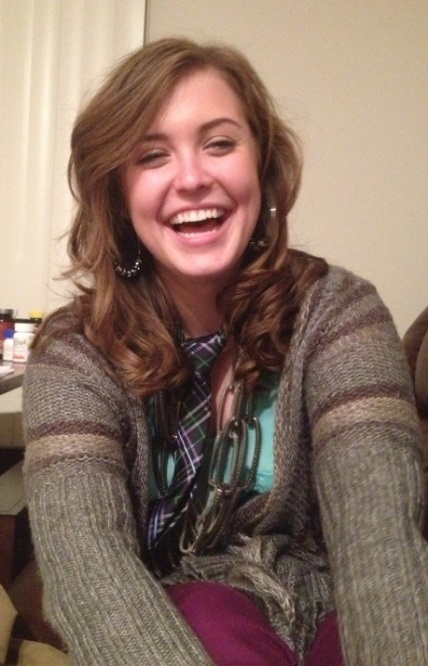 A TCU Student asked to do a profile on Leaving Perfection Learning Grace and featured it in her class. Grateful and truly #beyondblessed to have TCU360 write about Natalie and my website and soon to be organization Beyond Blessed. Find out more in the article about why we felt it was so important to create the forum of Beyond Blessed. 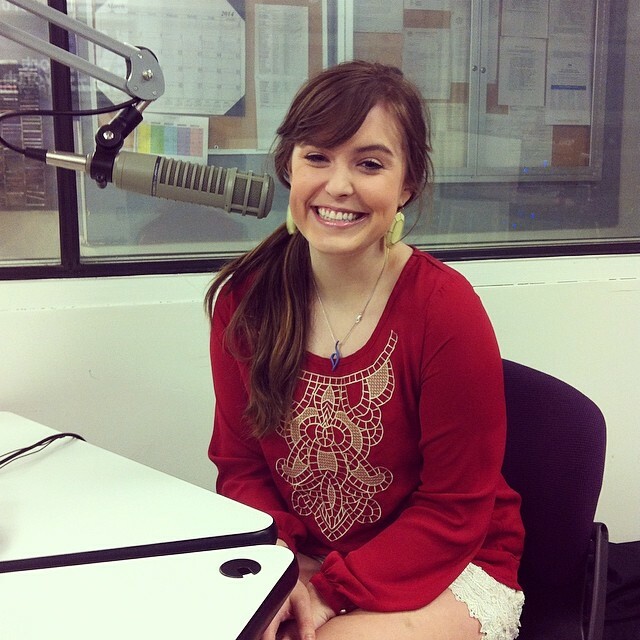 Grateful for a campus who allowed me to speak out about my Eating Disorder. I was honored when a former professor asked to quote Leaving Perfection Learning Grace in one of his many acclaimed works. Here is Dr. Venderwerken’s research with a quote from this blog. Many Universities would have run away from the issue but TCU took notice and allowed me to speak out. From my time I interned with Lori Hanson and presented her to TCU. This was the first article I ever wrote for the Learn2Balance blog and is what inspired me to write my own blog.